When we started our farm back in 1983, our vision was to create much more than just a place to get a fresh tree. Our goal was to offer a family experience. Our motto is "Start a family tradition". We now have some families that have been coming to our farm for three generations. The experience includes: hot apple cider from the old wood cook stove, mule and wagon rides, Santa, gift shop, wreath and garland making, and bon-fires. Come join us and start your own family tradition. 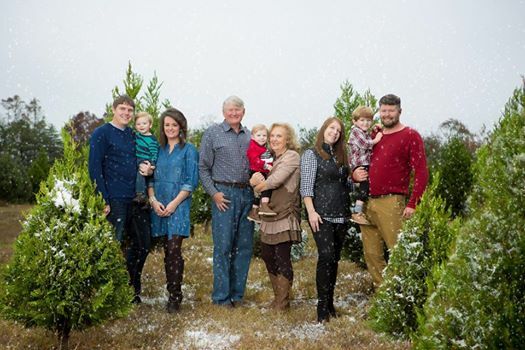 Shell's Christmas Tree Farm is a family business owned by Greg and Weeta Shell. Our two sons, Aaron and Chad, their wives Kim and Amber, and grandchildren Hunter, Colton, and Hudson are all involved with the business. As well as, numerous relatives and friends.